Cost to install metal siding varies greatly by region (and even by zip code). Get free estimates from siding contractors in your city. Cost to install metal siding varies greatly by region (and even by zip code). Get free estimates from siding contractors in your city. The average cost of installing metal siding is $7,500 - $15,000​. There are many different options for siding, and metal has been on the market for quite a while. Aluminum was used for decades; steel is still known for being incredibly durable; zinc and copper occupy the higher end of the metal siding industry. The cost will vary depending on the material and the complexity of the project, but it can be comparable to vinyl 1 and wood siding. The cost of installing metal siding will vary by material, but installing steel horizontal siding for a 1,500 square foot house will cost $5-$10 per square foot, or $7,500-$15,000. As with all materials, there are pros and cons. Some of the benefits to using metal siding are that it’s incredibly low-maintenance and relatively inexpensive compared to a material like cedar shakes 2. Metal siding doesn’t have the same reaction to extreme weather that wood does and can easily be repainted to fit your style. Metal siding is also insect-resistant and can withstand cold, snow, and rain. However, metal siding can also dent and scratch easily, which can be a problem if you live in an area that gets a lot of hail or high winds. Metal siding may come pre-colored, but that color may fade or become chalky over time (you can repaint, though). Metal siding is also susceptible to rust. Horizontal siding is traditional, but vertical siding can be an element that makes your house stand out from everyone else on the block. Vertical siding can sometimes be more expensive to install because the installation process requires more expertise and specialization. Talk to your contractor about pricing if you’re interested in vertical siding. That being said, vertical siding means less potential for water damage as water naturally streams down the sides. Vertical siding is also easier to clean than horizontal siding. Sheathing refers to the layer that the metal siding attaches to. In some cases, sheathing is required for particular structures, so you’ll want to check your local ordinances to determine what’s required in your area. Structural sheathing helps create the frame and walls for the building, typically this is plywood 3. Most contractors recommend a ¾-1” plywood thickness. Nonstructural sheathing is used partially for insulation and can vary greatly in thickness. Sheathing will cost a minimum of $3.00 per square foot. “Metal siding” refers to a fairly large group of materials, each with their own pros and cons. Check out our list of the different specific material options for metal siding. Aluminum siding is lightweight and rust-proof, but it is thinner than steel and is susceptible to dents and scratches. It is relatively inexpensive ($3-$6 per square foot, including installation) and can be painted any color. One of the downsides to using aluminum is that it needs repainting every 5-10 years. Aluminum siding is not a very common siding material, but vinyl-wrapped aluminum siding is a hybrid material that has the look of vinyl 1 siding with the durability of aluminum. It can be more expensive than aluminum and vinyl siding. Steel siding is heftier than aluminum and is less susceptible to dents and scratches, but it can rust. Steel siding costs $5-$10 per square foot, including installation. Corrugated steel siding is typically used for outbuildings and commercial buildings, and the shape of the siding can hide imperfections that come from normal wear and tear. Corrugated steel costs around $5 per square foot. Zinc is resistant to corrosion and rust and will develop a beautiful patina 4 over time. However, it will also cost more than aluminum or steel. Zinc siding costs $15-$25 per square foot, including installation. Copper, like zinc, is also rust-resistant, but is more expensive than any other type of metal siding. 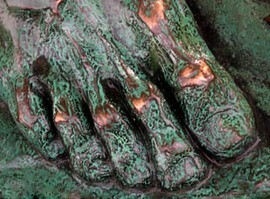 Copper will also develop a patina and will inevitably stand out from its surroundings. Copper siding costs $20-$35 per square foot,which includes installation. There’s a bit more to metal siding than just sticking something to the sheathing. Metal siding has different components that, when put together, create the exterior of your building. Cladding: cladding describes any covering or coating over another material. Some metal siding, for example, has a foam backing for insulation and metal paneling that creates the exterior. The cost of cladding will vary based on the exterior metal, as cladding is available with aluminum, steel, zinc, and copper. Wall tiles: metal wall tiles are typically used for interior design and not for exterior siding. Metal wall tiles often have some sort of pattern or design and are commonly used in kitchens and bathrooms as an accent wall. Wall tile cost will vary based on material and pattern, but ornate tin wall tiles can cost $1.50-$10.50 per square foot, not including installation. Panels: paneling refers to large pieces that are placed together to build walls. For example, corrugated metal siding comes in large panels and can be pieced together to create visually appealing seams 5. Panels may be arranged vertically or horizontally. Cost of installation will vary based on the complexity of the project, material, and the orientation of the paneling. Copper panels installed vertically, for example, are more expensive than copper panels installed horizontally. You may pay $20 per square foot including installation for a less complex, horizontal project and closer to $35 per square foot 3 including installation for a more complex, vertical project. 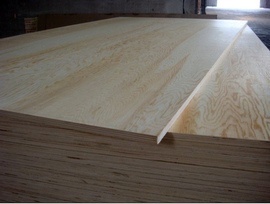 Slats: as opposed to panels, which are large pieces, siding may come in slats that use a tongue and groove connector to attach slats to each other. These may be used in applications where more ventilation is desired. Slats may be arranged vertically or horizontally and are priced based on the material (aluminum, steel, copper, etc.). Installing metal siding can be labor-intensive. The wall must be leveled and if there was old siding, the previous nails must be removed. If the siding is put up from scratch, sheathing must be installed. Some metal siding has J-channels built in, but the installation process may require separate J-channels. J-channels cost $0.30-$0.50 per linear foot. Siding contractors are the pros to hire for this job. Installing metal siding can be tricky if you don’t know what you are doing, and you can hammer too deeply into the sheathing if you’re not careful. Contractors with experience installing metal siding will usually charge per square foot. The cost of labor will vary based on the choice of siding material, the orientation of the siding (vertical costs more than horizontal), and the overall complexity of the project. Another reason to consider hiring a pro is that many contractors are able to purchase the siding directly from suppliers for a lower cost. All that being said, a low-complexity aluminum siding project may cost $3 per square foot (materials and installation), while a high-complexity copper siding project may cost $35 per square foot (materials and installation). One of the perks of metal siding is that it is incredibly low-maintenance. Metal siding is sometimes subject to scratches or dents, but otherwise, it generally just needs cleaning once a year. Pressure washing costs $60-$100 per hour, and a 1,500 square foot house will take 4-7 hours. Metal siding may also need to be repainted every few years, as the original paint or precolor can fade over time. You may want to have your siding painted, but that will add extra costs to your overall project. Metal siding requires special paint, so you can expect to pay at least $2,000 for a 1,500 square foot painting project. 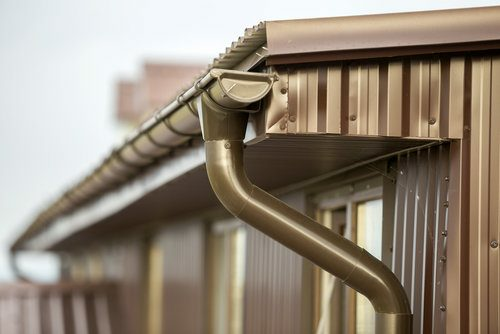 Gutters are an important part of building construction, and the cost for gutter installation will vary based on the material. Vinyl 1 gutters are less expensive ($3-$5 per linear foot), but metal gutters are more durable ($4-$9 per linear foot). Installing 125-200 linear feet of gutters will cost $375-$1,800. Soffits 6 protect the underside of the roof from the elements and will cost $2-$20 per linear foot 3. 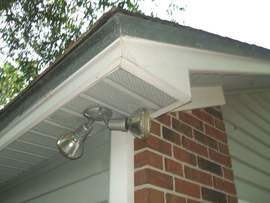 Any contractor that has experience with siding will also be able to install soffits. It’s recommended that you remove old siding from the house, as opposed to putting new siding over the old siding. The fact is, you don’t know what’s lurking underneath the old siding, and removal is the best way to tell. Removing old siding can cost $0.25-$0.75 per square foot 3. For a 1,500 sq.ft. house, this can cost $375-$1,125. In order to get an idea of the most reasonable price for your particular house, it’s important to talk to multiple contractors. Get quotes from at least 3-4 contractors. In general, it’s best practice to avoid going with the lowest price simply because the old adage applies–you get what you pay for. Check reviews and ask for references from previous clients. Metal siding isn’t the most popular siding currently, so it’s important to find a contractor who is experienced in working with metal siding specifically. Before you sign any paperwork with a contractor, you’ll want to make sure that the contractor is licensed and insured. They should be able to provide appropriate documentation. This will protect you, your home, and the workers in case of any injury or damage to the house. You may be tempted to make this a DIY project, but hiring professionals can make the process go much faster, and you don’t have to worry about the hazards that come with working with metal. That being said, if you do decide to do it yourself, planning ahead is going to be your best friend. Have your materials prepped ahead of time and your siding already cut to fit before you get started. There are different requirements for building structures larger than a shed, so you will want to contact your municipal zoning board to see if you need any special permits for putting up metal siding. For residential purposes, some neighborhoods have restrictions on building materials for aesthetic purposes, so again, you’ll need to check and make sure you have the right permits for any building changes on your property. How much does it cost to install metal siding? Metal siding costs approximately $3-$35 per square foot for materials and installation. Can you use metal roofing as siding? It depends on the type of metal roofing material and the intended project for your siding. Metal siding requires additional barriers, such as underlayment 7, if the structure is for any purpose other than a storage shed. Does steel siding expand and contract? Somewhat, but not nearly as much as other siding materials. Steel is non-porous, which means it doesn’t absorb moisture that can expand and contract in extreme temperatures. How do you measure for metal siding? Siding is measured by the square foot. To get an estimate of your house size, multiply the height and width of each side of the house to get the square footage. To estimate the size of dormers and other triangle-shaped elements, multiply the height and width and divide in half. How expensive is metal siding? Metal siding can be aluminum or steel and will vary in cost. Metal siding costs $3-$20 per square foot, including installation. How much does it cost to put aluminum siding on a house? Aluminum siding costs $3-$6 per square foot including installation, depending on the complexity of the project. Is vinyl siding cheaper than metal? Vinyl and metal are somewhat comparable in price, but metal can be less expensive depending on the complexity of the project. 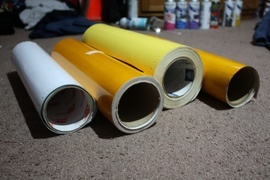 Vinyl 4 costs about $5 per square foot 3, while aluminum costs $3-$6 per square foot. How much does it cost to install metal siding in my city? Cost to install metal siding varies greatly by region (and even by zip code). To get free estimates from local contractors, please indicate yours. This cost guide has been remade, giving a more detailed description of the project. New information was added, such as some factors that affect the price, the benefits of installing metal siding, a comparison between horizontal and vertical installation, and the different types of metal siding. There is also information on the different materials and an explanation of the labor. There is now a section dedicated to enhancement and improvement costs, and another that contains additional considerations, with information regarding old siding removal, how to hire a contractor, and DIY options. Finally, all prices were updated and a summary stating the price as well as a “FAQ” section were added. A rugged flat piece of wooden construction material with at least one grain-split face, generally made of either redwood or cedar, laid in a series of overlapping rows and used to cover the outside of roofs and walls to protect against weather damage and leaks. 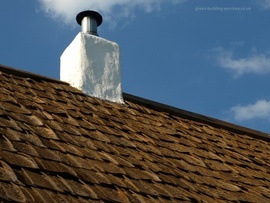 Cost Considerations: Shake roofs are generally more expensive than asphalt shingles. A 10x10 ft. square generally runs around $300. A thin film, usually green or blue in color, that forms over time on certain metals (such as copper, brass, bronze, and aluminum) or wood and stone surfaces due to natural oxidation. Construction material, typically composed of vinyl or aluminum, used to enclose the underside of eaves and ceilings. Cost Considerations: Soffit panels look similar to vertical siding.